There are many things that make us feel at home - laughing and spending quality time with our favorite people, munching on our go-to comfort food along with a refreshing drink, or even listening to a song that brings back precious memories. When we return to where we feel valued and accepted, when we’re reunited with the things and the people we love, when we look gratefully at our past experiences both good and bad, and when we remember the passions that inspire us, we come home. These unique instances are our own moments of homecoming. When we recall a special moment, the memory comes with a tune that was playing in the background, a lyric that stood out, a beat that fit the mood, and sometimes even a Coke in hand. With the perfect jam playing and a bottle of Coca-Cola, simple moments with our friends and family become more fun, more memorable and more uplifting. 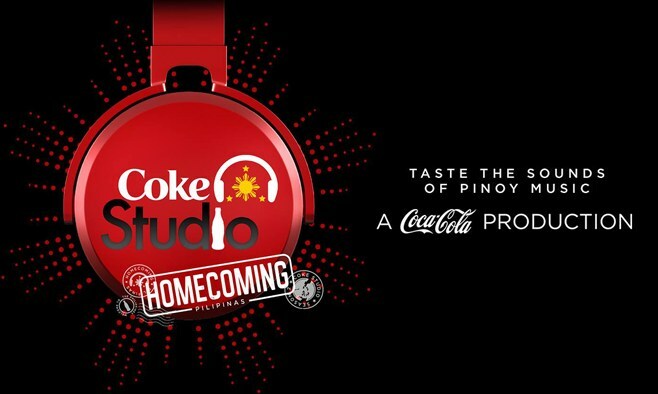 Now, music and Coca-Cola come together once more to give young music lovers and Original Pinoy Music (OPM) artists a new home at Coke Studio Homecoming. In line with the Company’s thrust to empower the youth, Coca-Cola tapped into young Filipinos’ love for music through Coke Studio PH in 2017. Coke Studio PH became a haven where the diversity of OPM was celebrated. This year, Coca-Cola connects to Filipino teens once again as Coke Studio PH returns to make them feel at home with the familiar sounds of OPM, giving them an avenue to show their love and support for local music. For its second season, Coke Studio PH also further establishes itself as a hub of Pinoy talent, as it introduces a stellar lineup of local and international Filipino artists across various genres. While the previous season brought together veteran artists and budding musicians, Coke Studio Homecoming calls Filipino artists who have shared their talents to the world to return to their roots and bridges them with homegrown talents who have yet to stand on the international stage. From this colorful mix of talented Filipino singers and bands, Coke Studio Homecoming will feature groundbreaking, new collaborations between artists, as well as unique renditions of their original songs. Coke Ambassadors will also find their way back home this season, as Coke Studio Homecoming features familiar faces, including the brand’s most memorable endorsers and Coke Studio artists from the first season. “We received such an overwhelming response during the first season of Coke Studio PH and this really inspired us to work harder this second season and explore ways to take it further. Last year, Coke Studio became a home for OPM and now we want to continue and strengthen that legacy, making sure that the younger generation and the new lineup of artists can feel that same sense of belonging,” said Stephan Czypionka, Coca-Cola Philippines Vice President for Marketing. While uniting teens through music, Coca-Cola takes it a step further by enabling them to do their part for a greater cause. This year, Coca-Cola announced an industry-first goal to collect and recycle the equivalent of every bottle or can it sells globally by 2030—a goal in line with the Company’s vision of a World Without Waste. This is why during all Coke Studio events, Coca-Cola encourages teens to deposit their PET bottles in designated recycling bins. The Coke Studio TuneCycle, a stationary bicycle that also grinds PET bottles, will also be a staple in Coke Studio events. These ground PET bottles will later on be turned into eco-bricks. Coca-Cola will reveal its exciting lineup of artists at the Coke Studio Homecoming Launch on September 1, 2018 at the World Trade Center in Pasay City. There’s plenty more in store so stay tuned and let the sounds of OPM call you home!